Home/GETTING MORE & PAYING LESS. PRIME ECOSYSTEM’S LOWER TCO. GETTING MORE & PAYING LESS. PRIME ECOSYSTEM’S LOWER TCO. That’s right, PRIME can output on a single system both graphics and clips that previously required multiple systems. The fact that PRIME’s Branding Package and Clip Package will play out simultaneously from a single system is just one measure of PRIME’s ability to deliver to our customers a lower Total Cost of Ownership. The ability to get more today for less than you spent yesterday is the cornerstone of ChyronHego’s philosophy of leveraging software-driven solutions. Put into perspective, with the PRIME Ecosystem you get a multichannel graphics platform, a clip playout package, complete automation, multiple scripting engines, unique Warp Effects, support for 4K, and more for less than what you would have paid only a year ago for two discrete devices to handle both branding and clip playout. Channel Box PRIME is indeed greater than the sum of its parts, giving you more for a greater return on your investment. 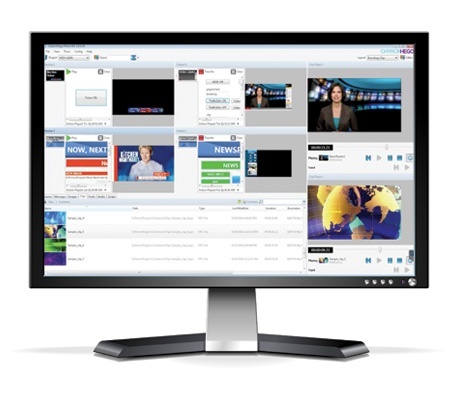 Plus, you get exactly what you expect from ChyronHego: Separate browser-based playout and designer interfaces (scriptless and template-based) built within the application, drag-and-drop capabilities, SQL databases, windows search, and more. Channel Box PRIME also renders out and plays almost all MPEG I-frame codecs, including older LTV and QuickTime formats. All with the reliability you’ve come to expect from the leader in on-screen branding and graphics. Which leads to this conclusion: The PRIME Ecosystem is by far the most advanced solution in the branding and clip playout space. More functionality, more flexibility, more features and a lower total cost of ownership. That’s a formula that’s worth taking a closer look at, and we encourage you to do just that. It’s a prime time to learn more about ChyronHego’s PRIME Ecosystem. Intrigued? Download our new White Paper below.